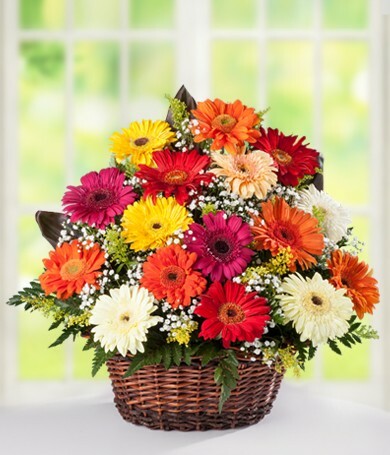 Our fresh basket of daisies is a fine and versatile floral gift for multiple occasions. White, yellow and sunset-color gerbera daisies come with baby's breath and fresh greenery, perfect for thank-yous and tasteful business gifts! 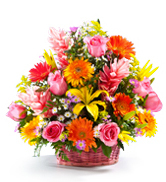 You can't help but bring a smile, decorate your home or make someone's day with a daisy basket. 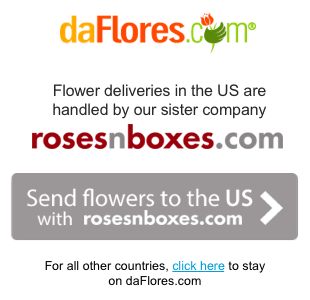 Send one today!